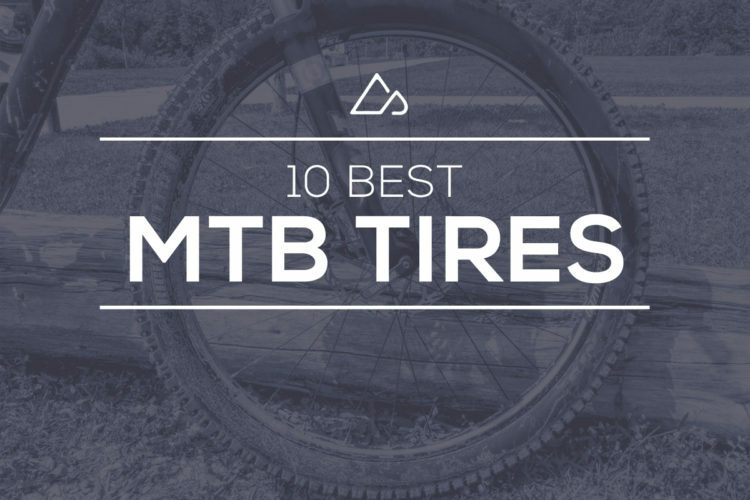 The only thing more confusing than searching for the right mountain bike tire — and right ply, and casing, and tread pattern, and compound — is making sure that it’s the correct tire width for the rim. 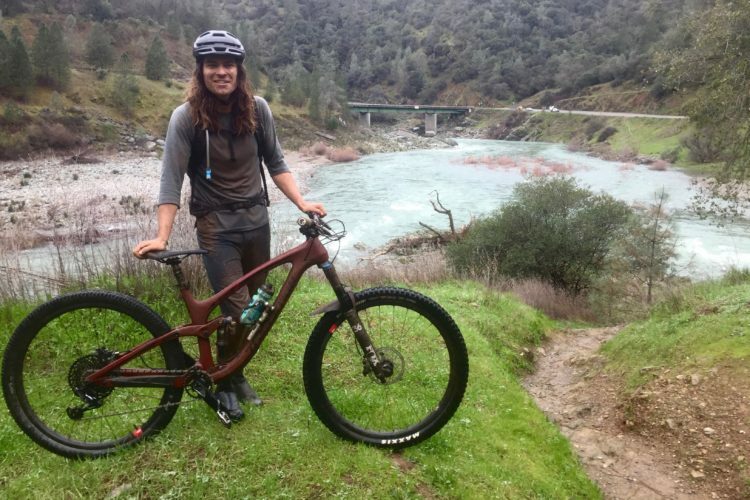 Today there are just as many rim width options as there are tire widths, especially following the introduction of fat bikes and plus tires to the mountain bike scene. The crazy thing is, finding a good rim width for a particular tire and riding style can make a huge difference in ride quality. With mix-matched rim and tire widths, a tire can get too floppy, or stiff, or lose its cornering ability. But don’t fret! We’re here to help make sense of this and have written a general guide that should point everyone to the right rim and tire width. 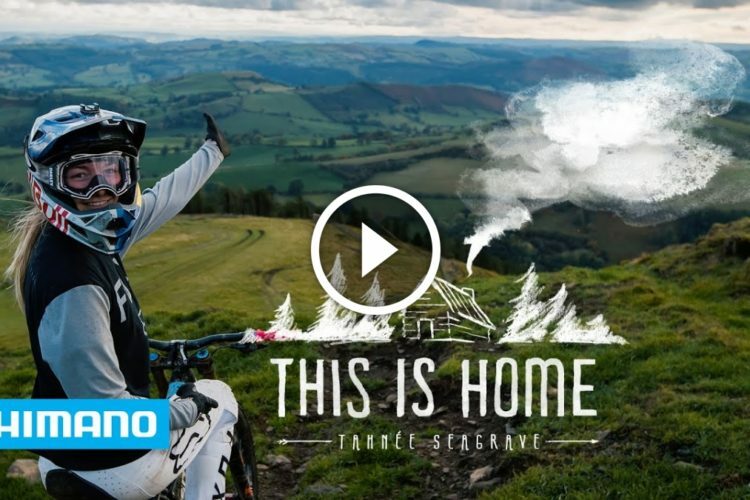 For someone buying a stock, complete mountain bike, this probably won’t be an issue as designers should have specced the bike with a suitable rim and tire combination. But for those who are upgrading either a tire or rim, it’s easy to drown in choices. Classic berm-schralping portrayal. 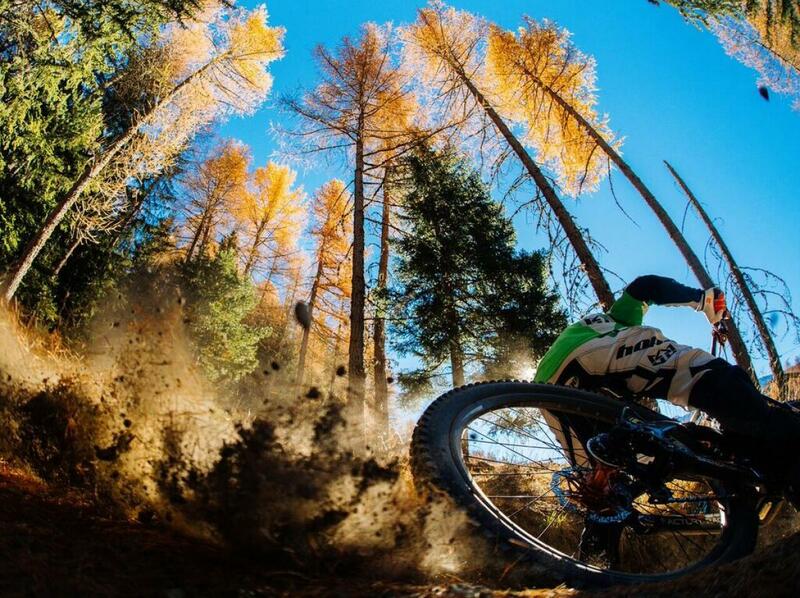 Rider: Adam Brayton. Photo courtesy of Hope. It’s easier to explain this by talking about what goes wrong when tires and rims are mismatched. 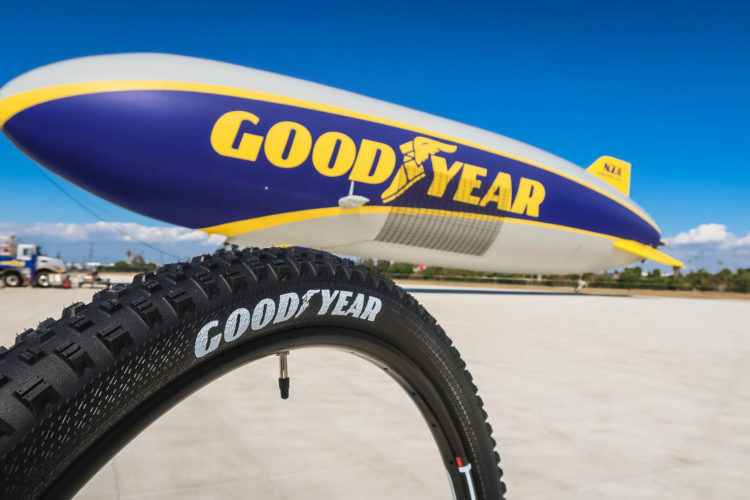 If a tire that’s too wide for a rim is mounted, the tire shape becomes too tall and round, like a lollipop or lightbulb, and then it becomes floppy at the top because the casing is constricted. This can result in poor cornering performance and tire squirm. If a tire is too wide narrow for the rim it’s mounted on, the tire can get too square of a profile. The result is a more exposed sidewall, which can be prone to cuts. Poor cornering again becomes a concern because the tire profile is squared off, making a tougher transition, if any at all, to the cornering knobs. 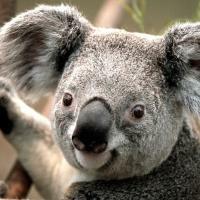 The tire can also lose its damping characteristics if it becomes too square. Internal rim width (IW) is the distance on the inside of the rim between both walls. The external rim width (EW) is the distance from the outside of one wall to the outside of the other rim wall. Take the internal rim width and add the thickness of the rim walls, and voila — you get the external width. The EW is the top number measured across the rim. The measurement under that is the IW, measured from inside wall to inside wall, and the number along the side is the rim depth. The last rim measurement aside from wheel size is rim depth. This is the height of the rim measured from the spoke hole to the top of the rim wall. 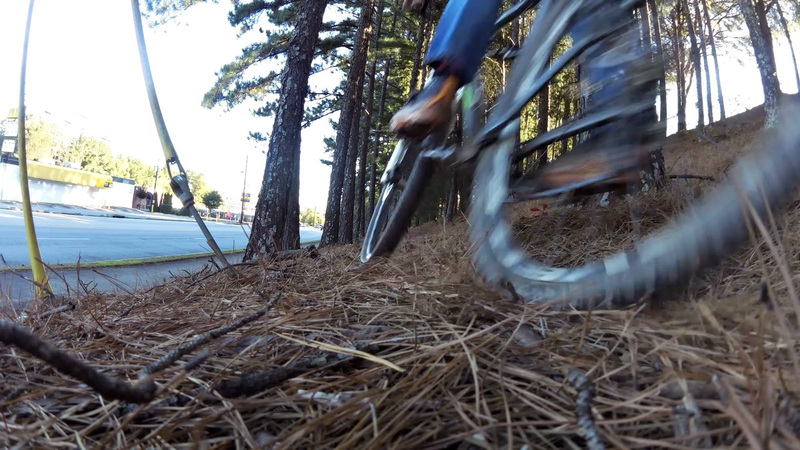 Rim depth isn’t quite as important in mountain biking as it is in road riding, but there are slight differences. A shorter rim depth means that the rim will be stiffer, but a little less aerodynamic. Cross-country riding is considerably different than it used to be, but racers still want the lightest equipment out there, and the fastest rolling. This means less rotational weight. 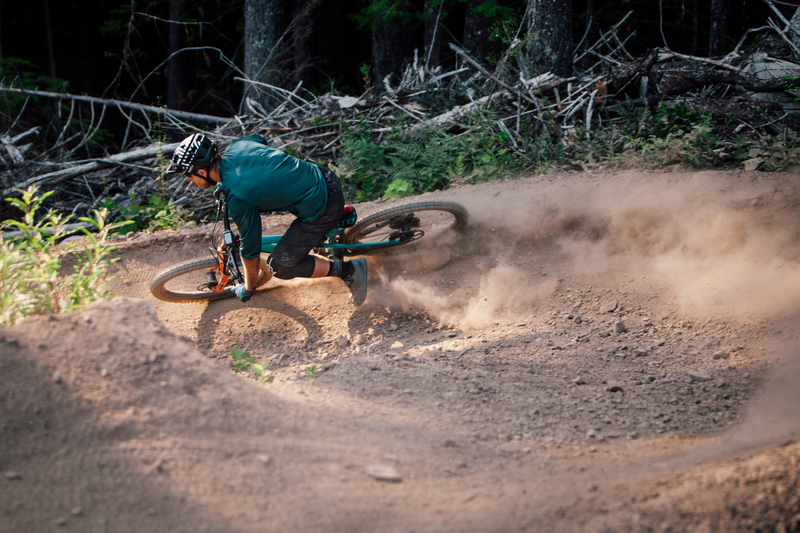 Slaying descents and slicing corners don’t equate to an XC win, but the weight savings might. When it comes down to tires and wheels, the more narrow they are, the less material is needed. 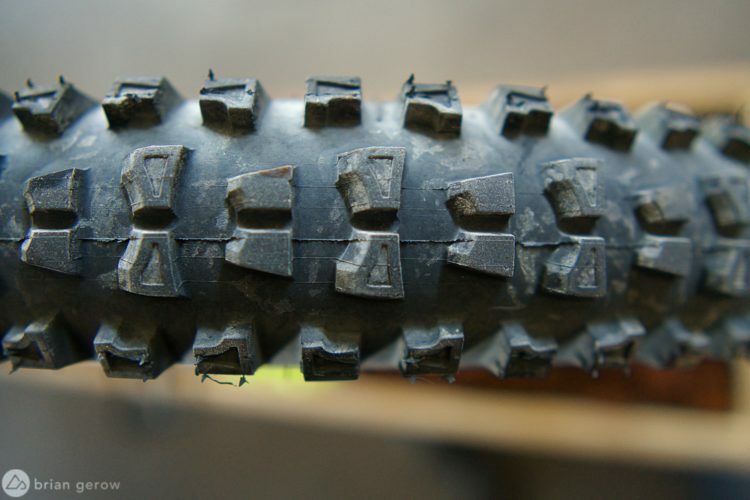 For XC riding and racing, tires usually fall into the range of 2-2.25 inches. 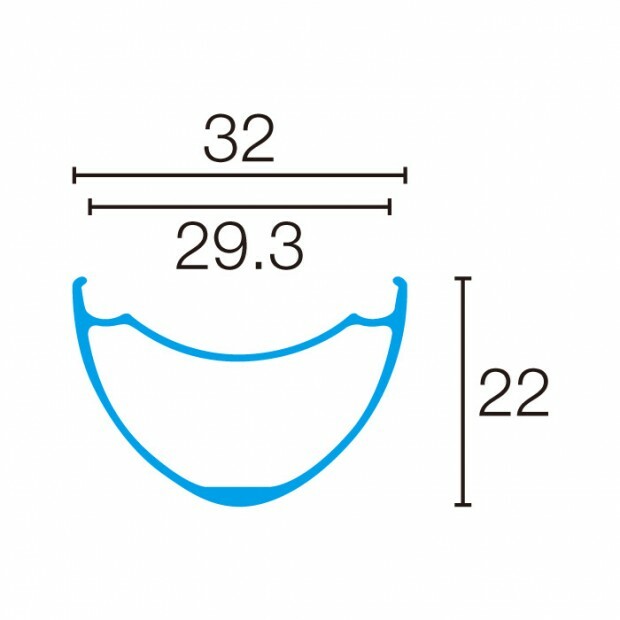 A rim width that coincides with that is generally around 20-25mm on the inside. Lately though, riders across categories have been exploring the opportunities of bigger tires, especially in the front. It wouldn’t be mind blowing to see a 27-30mm rim on the front of an XC bike for better directional control and confidence. The Scott Spark RC World Cup edition is Nino Schurter’s World Cup whip. Scott ships it stock with 25mm IW rims and 2.35-inch tires. To contrast that with a lighter duty XC bike, the Cannondale F-Si has a build kit equipped with 21mm IW rims and 2.25-inch tires. 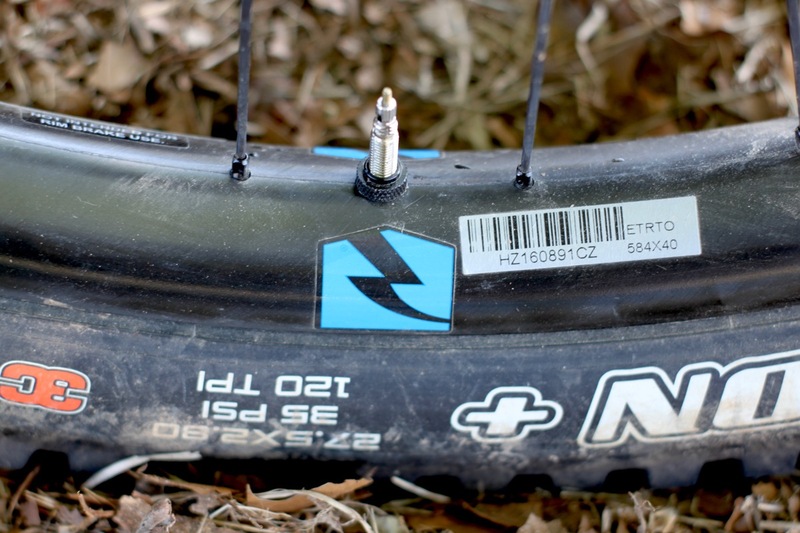 It seems that most of the mountain bike industry has strayed away from 2.0″ tires lately, maybe because tire companies are able to produce a wider tire at a lighter weight than they could previously. 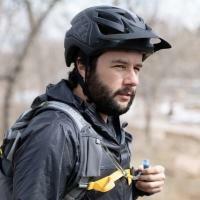 We can also label this category “every day mountain bikers.” Most of us ride regular trail bikes and want a balance of rolling speed and confidence while descending. Stock trail bikes seem to be fitting OEM wheels with an internal width of 23-27mm, give or take. 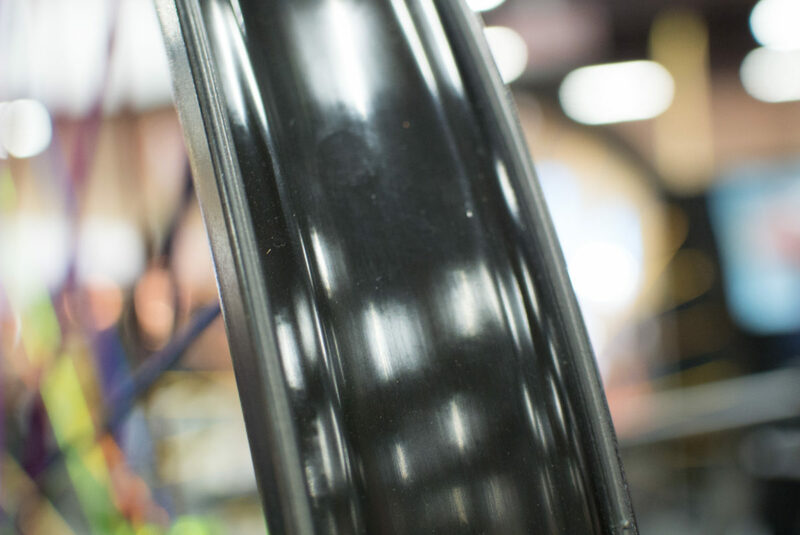 These rim widths are suitable for the tire choices that most of us use on all of our rides. A good combo is a 2.25″ or 2.3″ tire in the rear for better rolling speed and a little durability with a 2.5″ tire in the front for more directional control. 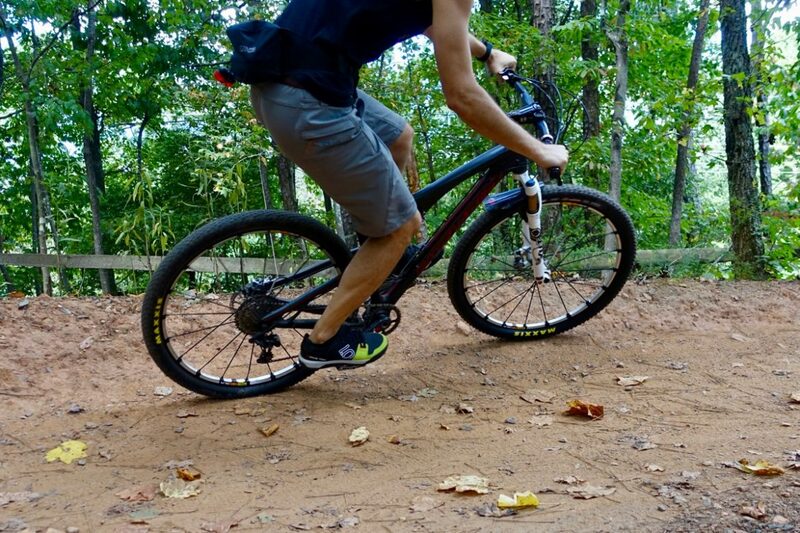 On the Rocky Mountain Thunderbolt, a current test bike for us, Rocky stocks it with a 25mm IW rim and 2.3-inch tires front and rear. On the newly-released Cannondale Habit, build kits ship with 25-26mm IW rims and 2.3 and 2.5-inch tires rear and front. 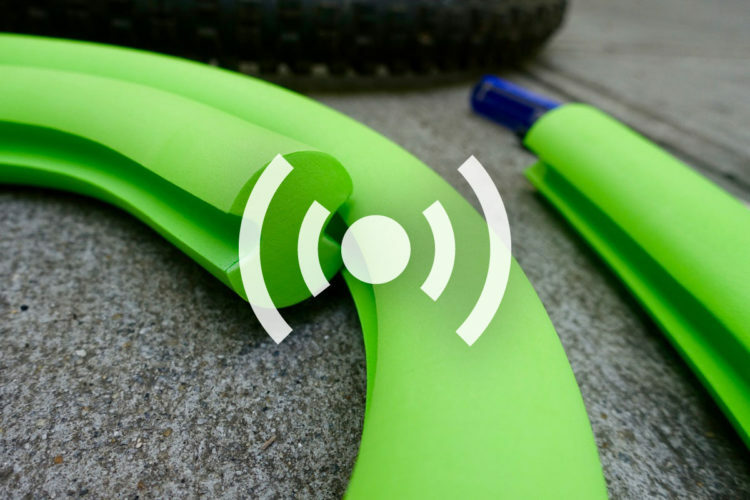 This category has been experimenting like Dr. Frankenstein for the past few years to find a suitable rim width for the changing demands of enduro riding. When the discipline was first blooming, enduro racers were probably closer to 25mm internal rim widths, but in the past two or three years the trend has crept closer to 29, 30, and 31mm of internal rim width. Race Face launched the Next R 36 wheel earlier this year and like the name implies, it has a 36mm internal width. They launched the wheel with EWS racer Remi Gauvin showing the benefits of a wider rim and 2.6-inch tires for better traction. 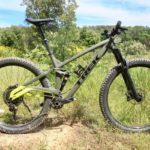 Santa Cruz took a stab at getting ahead of the trends in this category when they released the new version of the Bronson this year. They have two tire and wheel options for each build kit on the Bronson. One version comes with a 2.4 and 2.5-inch tire, for rear and front, with 29mm internal width rims. The other version has 2.6-inch tires both front and rear with 35mm internal width rims. Santa Cruz calls this a 27.5+ option, although we’re not quite sure what to call the 2.6-inch size yet, because most riders are using it for a different style of riding than actual plus tires. A lot of riders freaked out when the industry introduced plus tires, but the commotion has settled down, and the popularity of the tire has even tapered off a bit. Still though, some riders enjoy the enhanced traction in loose or rough terrain where the tires put a bigger footprint down. To make the plus size tire a possibility, wheel brands of course needed to produce a corresponding rim width. Now there are plenty of options out there. The Stan’s No Tubes Sentry rim starts on the smaller side of rim widths with a 32mm inner width, suitable for tires 2.5-3″ wide. 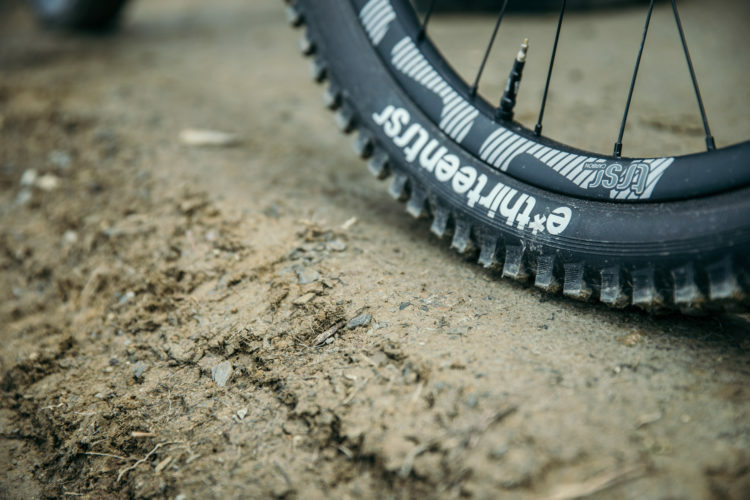 Plus-sized rims on the market jump up to a 45mm inner width for fatter plus tires up to 4-inches, right before the crossover to fat bike becomes indistinguishable. On the popular Trek Stache plus-tired hardtail, 46mm IW rims and 3-inch tires come standard. Of course we couldn’t forget the widest of all mountain bike rims out there. 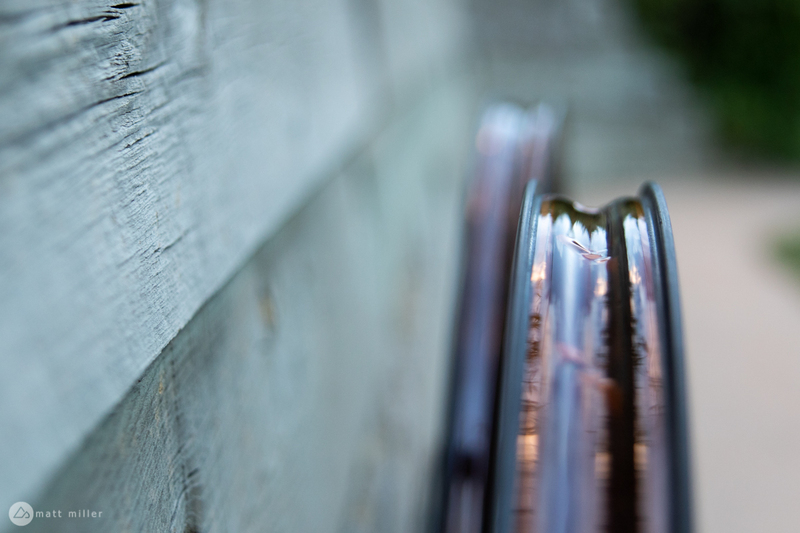 We found that fat bike rims generally sport an internal width between 49-100mm, almost five times the width of some of the XC rims we discussed above. There is not a whole lot to explain here. 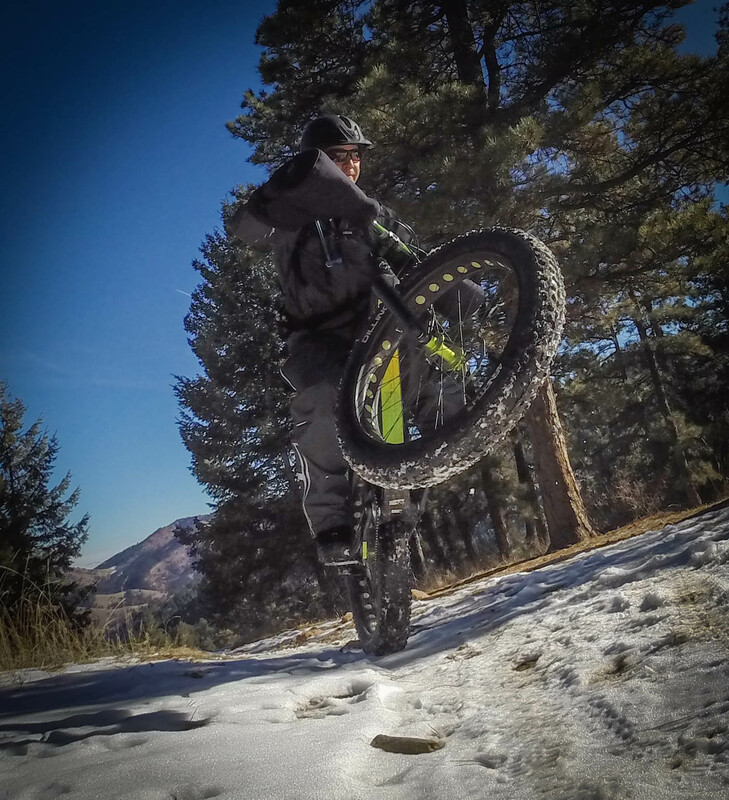 Mounting a fat bike tire on an average sized mountain bike rim would obviously be a poor choice and produce some interesting ride characteristics. Tires and rim width preferences keep on changing. 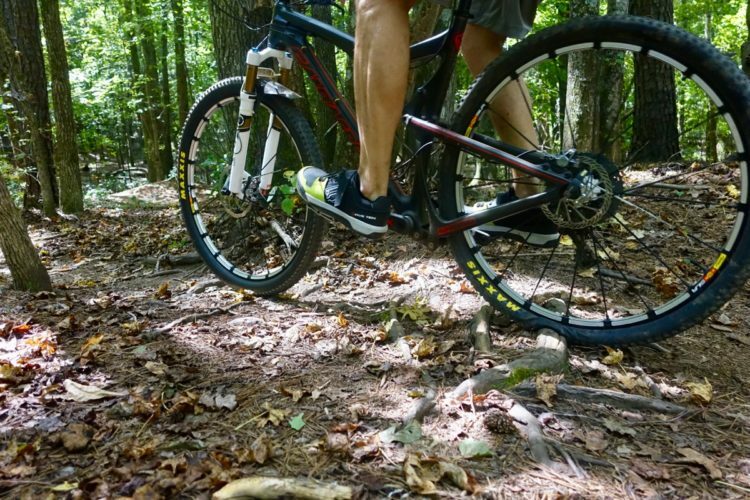 It there’s one thing that’s certain, it’s that mountain bikers have noticed the advantage of wider rims and tires, whether they’re a few millimeters wider, or a few inches wider. Did you mean to discuss a rim being too wide for the tire? Thx. Yep, thanks for catching that! Meant “too narrow.” Corrected. All this concern and complication about rim width and tire widths is over blown. 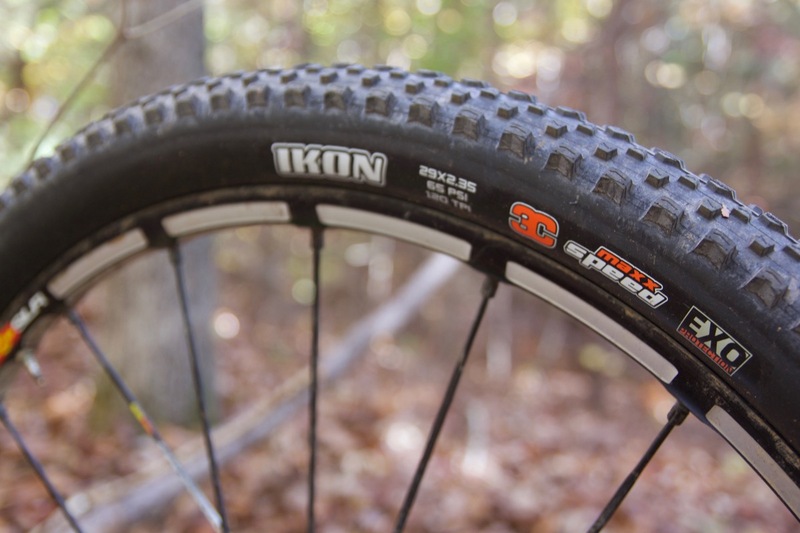 For Trail and Enduro bikes i30-35mm (i=inner width) rims on 2.3-2.8in tires is all you need to know. All modern Trail and Enduro bikes should come with i30-35 rims and should have frame-fork clearance and a high enough bottom bracket to use the full range of 2.3-2.8 tires. I wouldn’t buy a new bike that didn’t come this way. Any rim wider than i35 and any tire wider than 2.8 should be sent to the graveyard of outdated tech. The same place 3x drivetrains and rim brakes now reside. Sorry but the old school Plus 3.0 tire on an i45 rim is just to heavy and slow rolling. For XC-Race bikes i25 rims and 2.0-2.3 tires is about right. 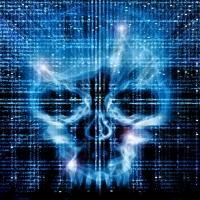 Light and fast sums it up! For all the rest of the various specialty mountain and race bikes (think Downhill, Fat, Shorttrack, etc) I have no opinion. However, covering Trail, Enduro, and XC-Race accounts for most of the bikes sold. A 25mm rim for a 2.25″ tire? Honestly, has it ever dawned on anyone how completely f***ing stupid this sounds?? Matt: you don’t find it odd to state the width of the rim using metric measurements but then state the width of the tire in metric? See also: a 9cm stem with a 31.8mm handlebar clamp for a 1 1/8″ steer tube. Seriously, what idiot thinks using 3 different units of meausrememt for a single product makes sense?? Ahhh, yeah. Very true. Wonder if there was someone who decided that tire widths for road bikes will be stated in mm, and mountain bike tires will be stated in inches. That is kinda funny. Any tip for determining if wider tires will fit in frame? Rear specifically. Would like to go 2.4″ but concerned 2.25″ might be more appropriate. Will save me $25-$50 if I can figure out ahead. 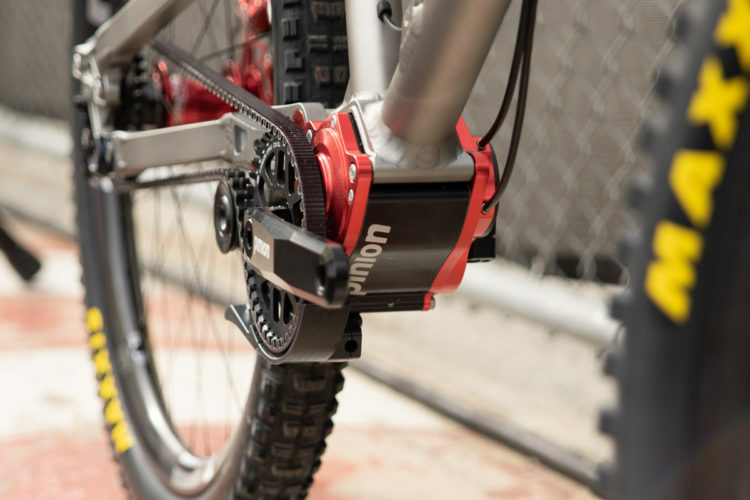 It is an entry level 29er with qr135. Just got new wheels, mangled both of the originals. New wheels are 27mm. But haven’t seen how centered in dropout they sit. The old one had 2.1s. Front derailleur was biggest issue but that is coming off. Hard to say w/o the model of the bike, but with a 135 hub, it’s probably on the more narrow side of tire allowance. I’d pop into a local bike shop and ask, or see if they have any other 29er wheel sets they could pop in the dropouts and find out for sure. You can still ride wider tires on narrower rims with good performance. I’m sure the optimal numbers discussed here work well indeed but up front on a pair of bikes I have a 2.4 minion on 23mm and a 2.6 butcher on 24mm rim and I prefer both those to a 2.25. The 2.6 which was installed by a shop in liu of a requested 2.4 pissed me off initially for breaking all the spec guidelines discussed here but it’s been my favorite tire and handling experience on my setups (bikes only a couple years old but before the industry-wide shift to 28mm and up on stock wheels). So if you’re saving up for wider hoops but have the opportunity to use a wider tire with your more narrow rims (by modern standards), I wouldn’t fear getting too much flop and indeed a performance upgrade imo. A little more tire pressure can help with that too. Seems like theres some wiggle room with good tires and the right pressure. More marketing hype BS. The real reason to get a new wheel is, cool hub sound, or stiffer, harder to bend wheel. Obviously if you are getting a new wheel get the size that’s best for your tire combo. 35mm is perfect for about everything. I am considering getting a Halo soon to replace these junk Rovals. Yea there are pros and cons to either rim and tire combo. You can do it either way. If you are stuck with what you got don’t be scared to go wider. It will work as long as your frame has the clearance. Tires rarely run true to size anyways. They are always a tad smaller than posted. I have a 27.5 x 3.0 tire on a stock 24mm wheel. The tire is ballooned a bit, but for my purpose it gets me through all the sugar sand pit we have here in Florida. Cornering is not an issue. Mind you I am but psycho on my bike. I am the stunt junkie. I would like a wider wheel, cuz I am always bending them. That has nothing to do with the size of my tire though. On my newer 29er enduro I have a 29x 3.0 DHF and a 29 x 2.6 Purgatory on a 29mm wide rim. No issue at all. No balloon effect. Considering today most bikes are spec’d with a 29mm to 25mm wheel you should be able to run whatever depending on if you have enough clearance on the frame. The rovals are junk and the reason I want a new wheel is I want something that stays true. Just had to add my 2 cents here, even if its worthless. you can get away with a narrower rim if higher pressure is your thing; that is if you are heavy or want to runt fast on gravelly terrain. 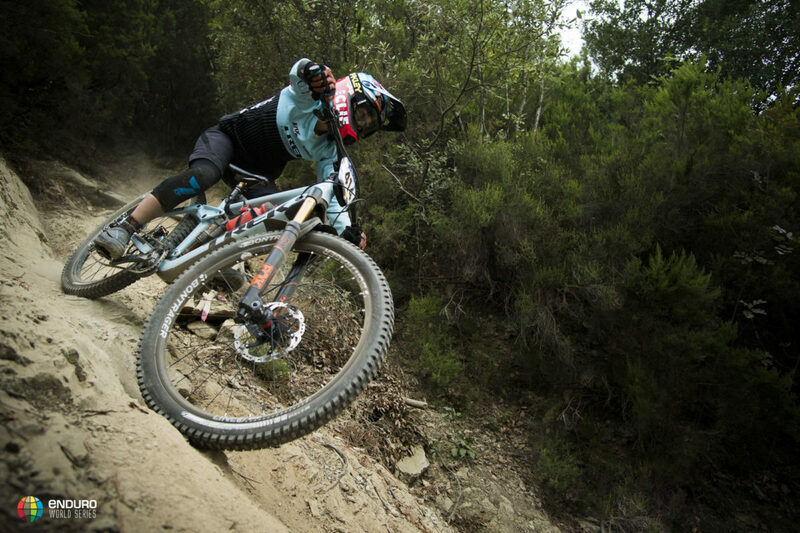 but for lighter riders on singletrack, rock gardens and rooth mats, a lower pressure is better. and if the rim is not wide enough you then run into problems with burping and self-steering. i think the recommendations in the articles are fair. for example with my 73kg and 40i rims i km i have to increase pressure to 1.3-1.4 bar with 3 inch 75 mm plus tires to get proper handling. but comfort and rolling for those are better at 1.1-1.2. for pressure i would need 45-50i rims. up to 2.6, but also work super down to 2.25.